Lee Glantz has been the choice of the finest Event Planners in New York City, Westchester, New Jersey and Connecticut for over twenty -five years. 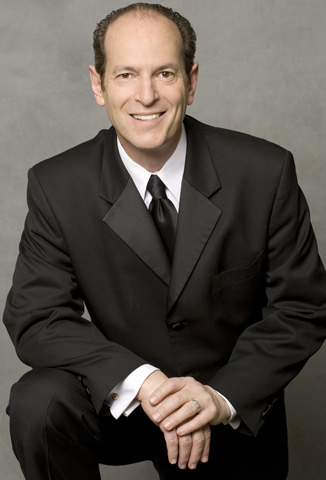 He is known for his elegant and swinging interpretations of Cole Porter, The Gershwins, Irving Berlin and many other composers of the "Great American Songbook", as well as more contemporary artists such as Billy Joel and Elton John. Solo or with his ensemble, Lee has performed extensively in his native New York City at the St. Regis, Four Seasons and Carlyle Hotels and in such venues as the Rainbow Room, Le Cirque and Daniel. He has performed in many private clubs in Manhattan, Westchester, Connecticut and New Jersey. Lee's clients have included Presidential Campaigns, HBO, Hearst Corp. and JP Morgan Chase to name just a few. In Palm Beach, Lee was the House Pianist for Donald Trump's Mar-A-Lago Club. Lee's music creates an excellent ambiance for all kinds of events: private dinner parties, corporate or charity events, weddings, bar / bat mitzvahs, birthdays and anniversaries. Elegant and swinging, sophisticated and hip, his music is perfect for both background as well as for dancing. Depending on the needs of the client, Lee can perform solo or with his ensemble (duo, trio, quartet, etc...). Lee's ensemble consists of some of the best musicians in New York. Highly professional and reliable, these accomplished musicians have performed with such artists as Diana Krall and Tony Bennett. Experienced, professional and reliable, Lee Glantz offers high quality entertainment for a successful and memorable event at a reasonable rate. A CD and rates are available upon request.